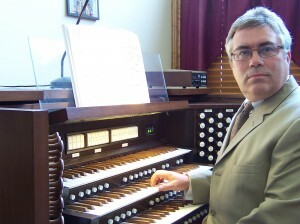 Don Auberger has been an Allen organ owner continually since 1979. He is certified as a “Colleague” of the American Guild of Organists (AGO) and has successfully completed all playing and keyboard requirements for the “Associate” academic certification of the AGO. He is a Past Dean of the Cincinnati Chapter-AGO, current Treasurer and Executive Committee member of the Cincinnati Chapter, and a member of the Executive Committee of the Ohio Valley Chapter of the American Theater Organ Society. Don was Vice-President and C.F.O. of the Cincinnati Symphony Orchestra from 1991 to 2010, and has been Music Director / Organist at St. Boniface Church (Northside), Cincinnati for nearly 31 years. Aside from musical skills, Don has substantial experience in fund-raising, financial strategy, and overall project planning. He’s been a participant and group leader of the French Organ Music Seminar, located in Paris, France, during the summers of 1995 – 2005. He has presented organ recitals / performances in Germany, France, Cincinnati (OH), Northern Kentucky, San Mateo (CA) and San Francisco (CA). His work experience also includes pipe organ restoration skills, as well as digital / pipe combination organs.